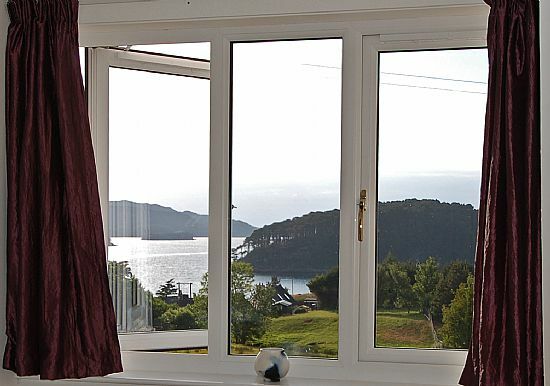 The Croft House, view over the crofts, to Shieldaig Island and out to sea. 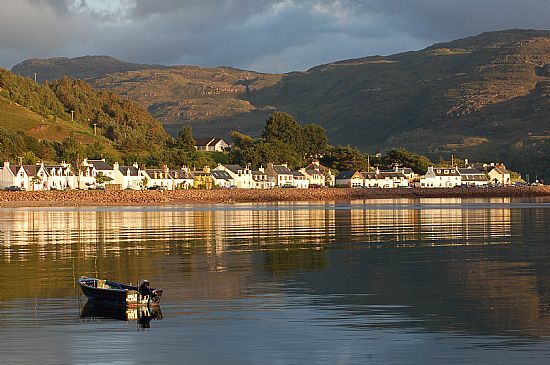 Looking at the conservation section of Shieldaig village from the Sea. 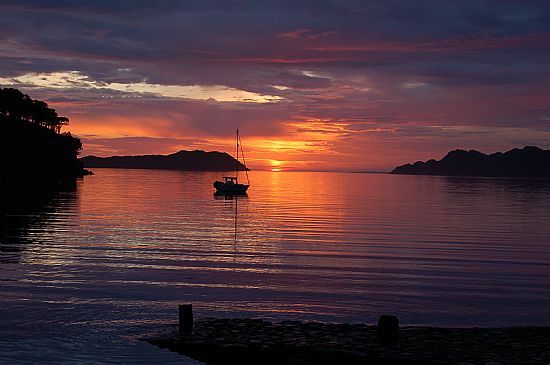 An inky-blue variation of the gorgeous sunsets we get on the West Coast in the Highlands of Scotland. The view from your room! 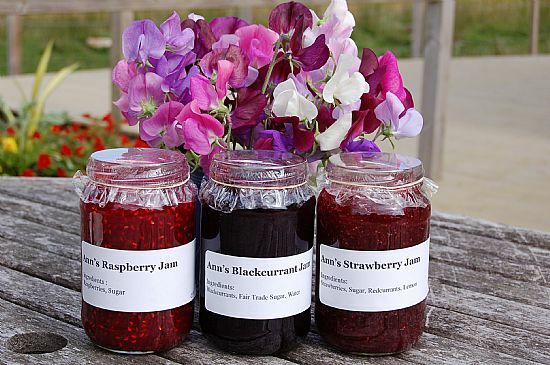 The jams and marmalade are all home-made, the fruit largely home-grown and taste fabulous. 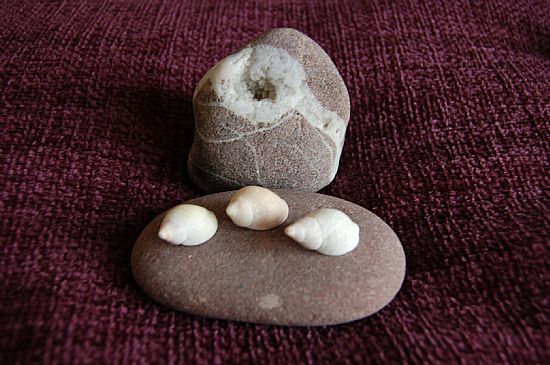 It's hard not to pick them up from the Shieldaig shoreline in the North West Highlands! 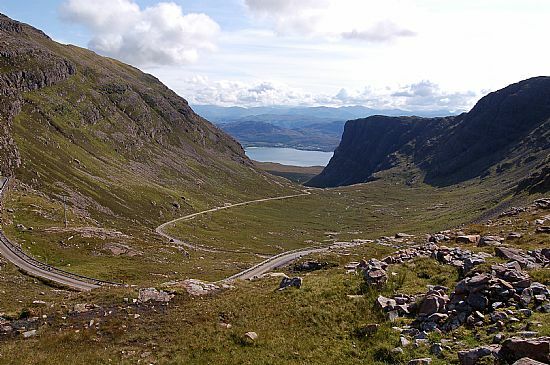 The hairpin bends near the top of the Bealach na Ba near Applecross. For some, a Hair raising drive! 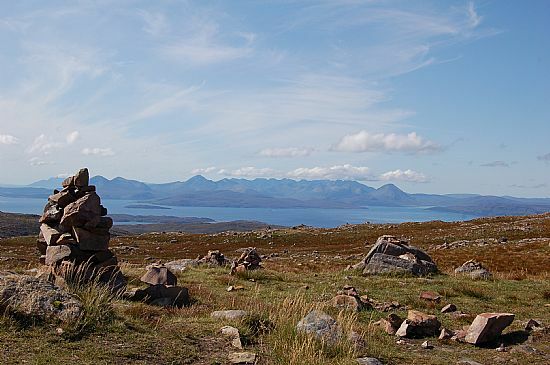 The view from the top of the Bealach na Ba on the Applecross peninsular. Not hard to see why it's a National Geographic top drive in the world. 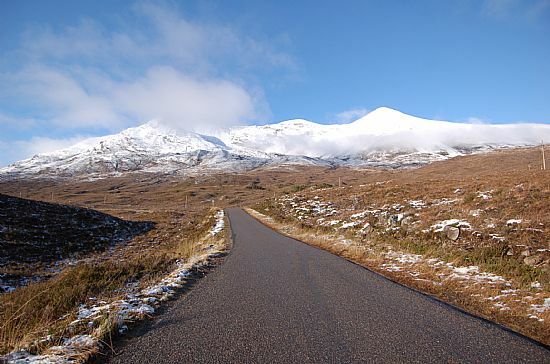 The Torridon Mountain range. 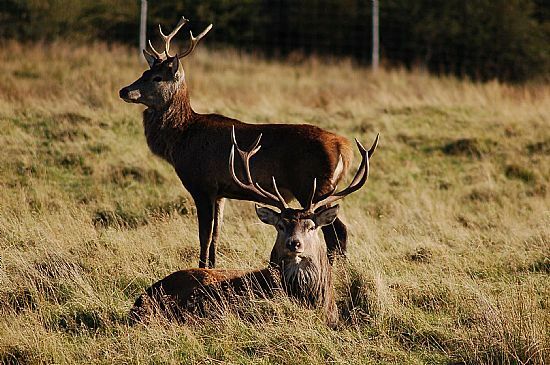 A Munro is a Scottish mountain over 3000 ft.
Can be seen at close quarters Torridon National Trust & deer museum. 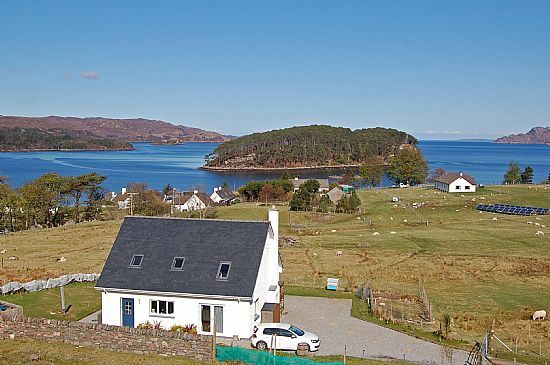 The only roads to Croft House BnB in Shieldaig are single track! 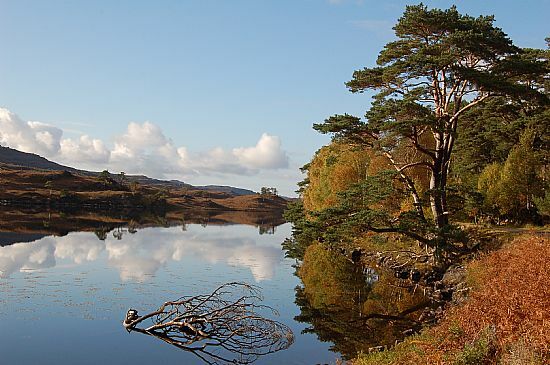 This is Glen Torridon. Dusting of snow likely Oct - Apr. 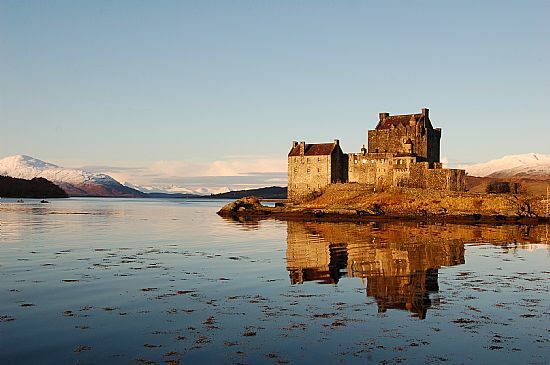 The most photographed castle in Scotland - about 60 minutes drive from Croft House BnB. Coast road, just north of Applecross, on NC500 route. 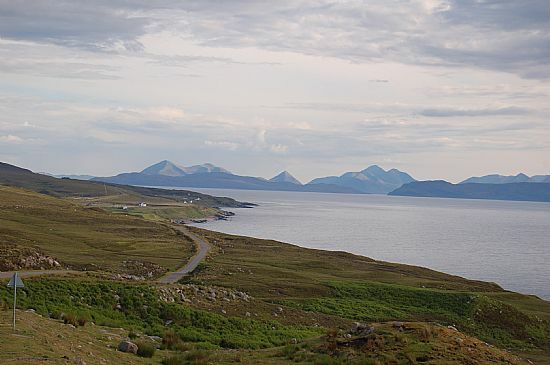 Classic Wester Ross view approx 50 minutes drive. 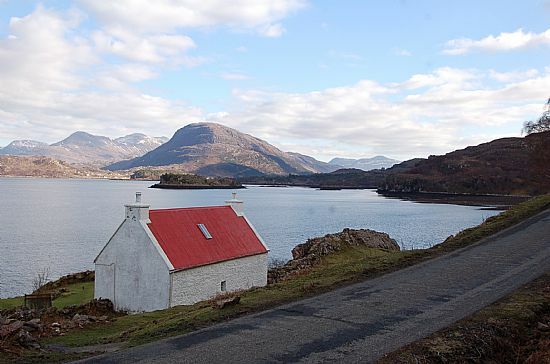 An iconic image from the Applecross coast road, just across the Loch from Shieldaig.On NC500 route. 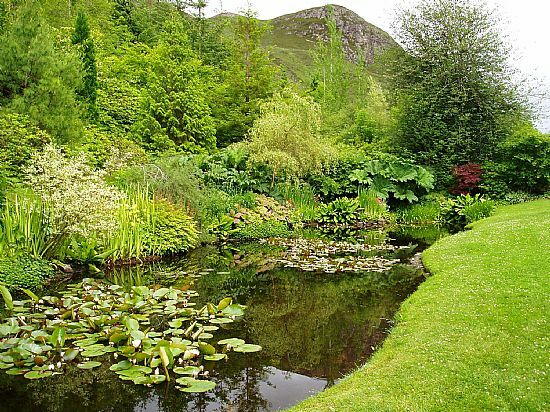 Attadale Gardens a 40 minutes drive from Croft House BnB. 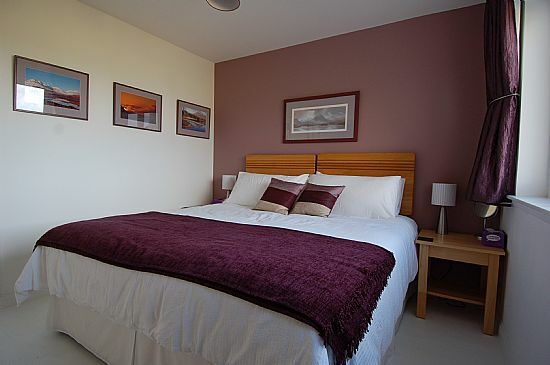 You'll need to get your NC500 passport stamped & a photo here! 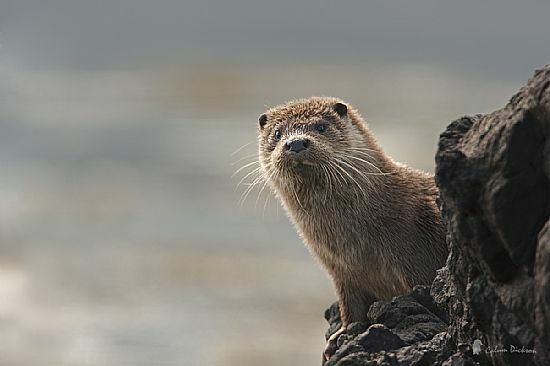 Regularly seen around low tide, just ask for the best spots to see them around Shieldaig and Torridon. 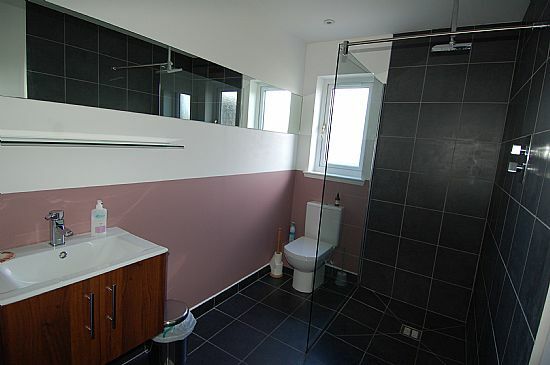 Amazing what can be done in less than ideal location. 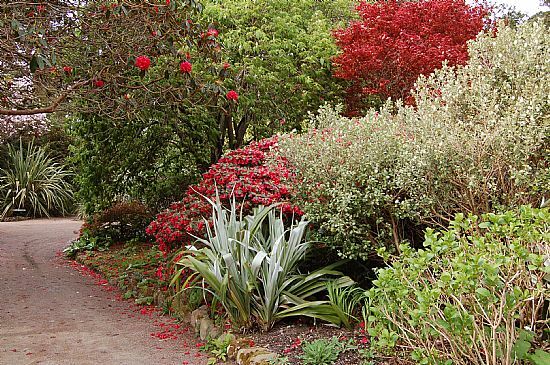 A real horticultural gem, about 1 hours drive from Croft House BnB. 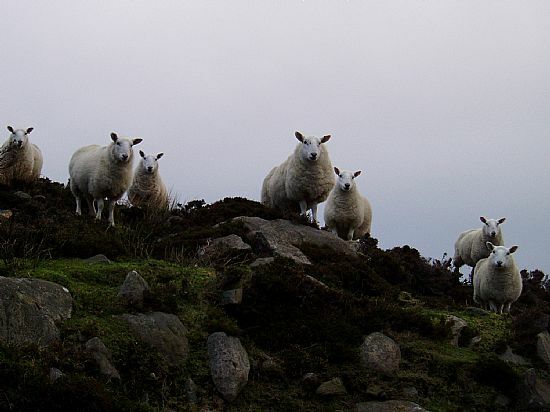 Sheep largely roam free in Wester Ross and often sleep on the road! Lambs arrive around mid April.